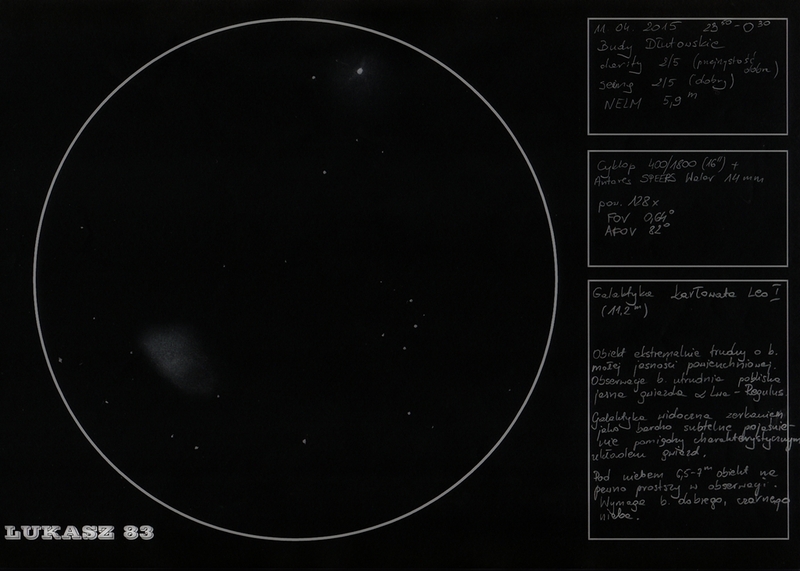 Great sketch of this very faint dwarf Galaxy! I am sure, this was not an easy Object to observe. An impressive capture of the difficult, little galaxy. Enjoyed your sketch of the dwarf galaxy and nice star field framing it.